Olbia light blue Dirndl dress. 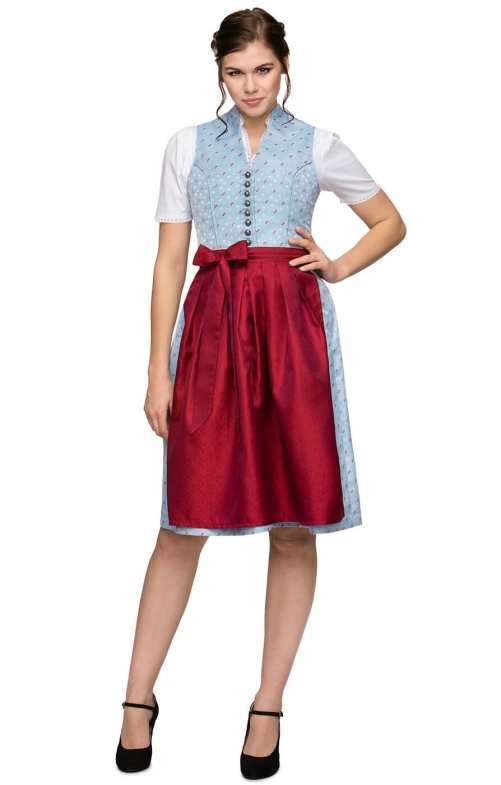 The perfect Oktoberfest outfit is closer than you think when you opt for this traditional Bavarian light blue Dirndl. The bodice of the dress has been created to reflect the style of a classic waistcoat complete with round metal buttons, while the subtle red print matches the bright and bold red apron and ribbon tie.